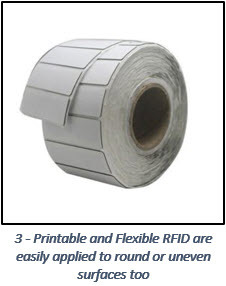 One common obstacle many businesses have with implementing RFID is the issue of readability. 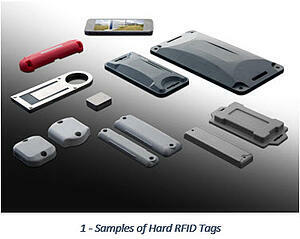 Traditionally, tagging metal surfaces was problematic for RFID readers. Because metal surfaces reflect the energy emitted from them and also create interference for RFID tag antennas, the tags weren’t able to receive power and transmit information. 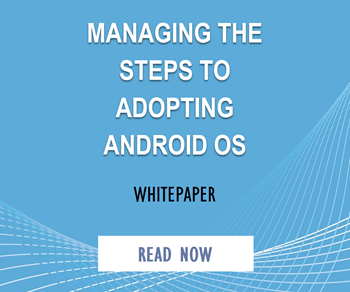 However, that problem has basically been solved as tags, readers and other equipment have evolved to meet this challenge and make it possible to use RFID almost anywhere and on any surface. Today we’ll look at a few innovative workarounds that have been implemented to get around some of these readability issues. 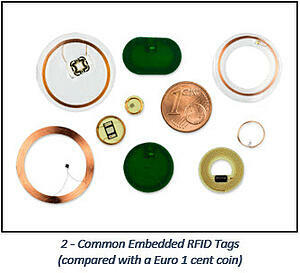 Also referred to as “RFID on metal tags”, these are needed for vehicle tracking and identification, asset and tool tracking in medical devices for healthcare, laptops & servers in IT, manufacturing, energy production (pipelines and equipment) and many other industries. The most direct example of a workaround to start with is the selection of anti-metal tags that are now available. Tags can be divided into groups by frequency: HF(13.56MHz) RFID metal tags, UHF(915MHz) RFID metal tags, and microwave RFID metal tags. Depending on the environment you are working in, some will work better than others, but in addition to frequency, there are a variety of tag types that can be used depending on the surface you are trying to affix them too. Hard tags provide the most options for getting an asset tagged, as they come with more than one way to affix them, either with an adhesive strip or magnetic screws or pop rivets. As they are often built to last and in plastic casing, they can also be applied in harsher environments with better performance in cold, heat or outdoors. However, just as you would do with standard labels, you should also specify to your supplier if you plan to either 1) apply or 2) use in extreme temperatures to ensure that you have them made with an adhesive that will last, or plan to use screws or rivets in place of an adhesive. In industries where the tags need to be hidden for aesthetic or security reasons (the healthcare industry or those tracking small tools), embedded tags are a suitable option because they can actually be embedded in the item being tracked, invisible to the eye but still readable. Available in different shapes and sizes (generally round discs or rods), they can withstand the plastic injection molding process as well and make it very efficient to include an RFID capability right off of the manufacturing floor without having to add it later. Post-manufacturing deployment might rely on sealing them into a pre-defined space with epoxy as well. Finally, the more familiar printable and flexible tags come in anti-metal varieties too that attach directly to metal surfaces with adhesive. A paper face allows for custom printing of private logos, product information, or scannable barcodes directly on the label. Some are also available with custom surfaces designed to withstand harsh environments are flexible enough to adhere to curved surfaces. While the most commonly discussed readability issues are about working around metal objects, some of the less obvious examples are not just surprising but provide a unique insight into some RFID applications we may not have thought of before. Old Wine in New Bottles? Or New Bottle Tags? An additional substance that will wreak havoc on an RFID reader are liquids. Tagging a bottle or jug of any kind of liquid is problematic because liquids can create interference for RFID. Unlike metals, which can bounce signals all over the place and create havoc with readers by creating multiple reads, liquids interfere differently simply by absorbing the waves and preventing accurate or consistent reads. So, when an exclusive member’s club/resort hotel in Tokyo decided they needed a better way to maintain their 5,000-bottle wine inventory, they turned to local manufacturer SATO Material Co. who came up with an innovative way to leverage RFID to manager their extensive wine cellar. At one restaurant in the resort, inventory-taking required two employees eight hours each. SATO designed a specialized collar for wine bottles that contains an RFID tag. As neither the tag nor the collar are directly affixed to the bottle, there is no concern over wine quality. As the tags provide accurate reads up to twenty inches away, a single staffer can now complete the inventory work in two hours or less, because bottles do not need to be moved, and the refrigerator doors do not need to be opened. While “wine cellar management” is not going to resonate with everyone as a reason to implement RFID, the lesson here is that now there are innovative ways to leverage this technology with liquids in your facility as well, filling a gap that previously prevented some businesses from using RFID effectively. While inaccurate or missed scans are one of the more commonly discussed obstacles for some RFID implementations, a less well-known concern is when they are TOO EASY to read. What do you do when everything has a very readable tag, but you want to only read those items in a specific group or area? In one case, a user developed a process to tracked assets that were picked and loaded onto carts that were in turn loaded onto trucks every day before being dispatched for the day’s work. The assets were tagged so they could not only be tracked going in and out, but to ensure awareness of their location when picking, AND to know when they needed to be cycled out of the daily dispatch for routine maintenance and cleaning. The problem was that in a fast-moving environment with assets coming and going from a receiving dock, a read of the assets in the cart often picked up tags in another cart nearby or passing by. How do you retain the benefit of being able to quickly scan everything in a cart without the risk of picking up nearby items? The answer is a “Faraday Cage”. Technically defined, a Faraday Cage is “an enclosure formed by conductive material or by a mesh of such material, used to block electric fields. 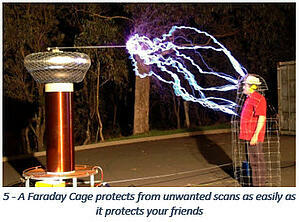 Faraday cages are named after the English scientist Michael Faraday, who invented them in 1836” (Wikipedia). In this case, the supplier provided a custom-designed Faraday Cage that the user could roll their cart into, close the door to seal it from unwanted scans going on elsewhere, and hit a button to scan everything INSIDE using the embedded antennae that were built into four sides of the cage. If there is one common thread we’ve seen in the last ten years of RFID innovation, is that for every new obstacle that is identified each time an effort is made to tackle a new type of process or an industry that has previously not leveraged RFID much before, the pace of innovation to overcome that obstacle has increased rapidly. 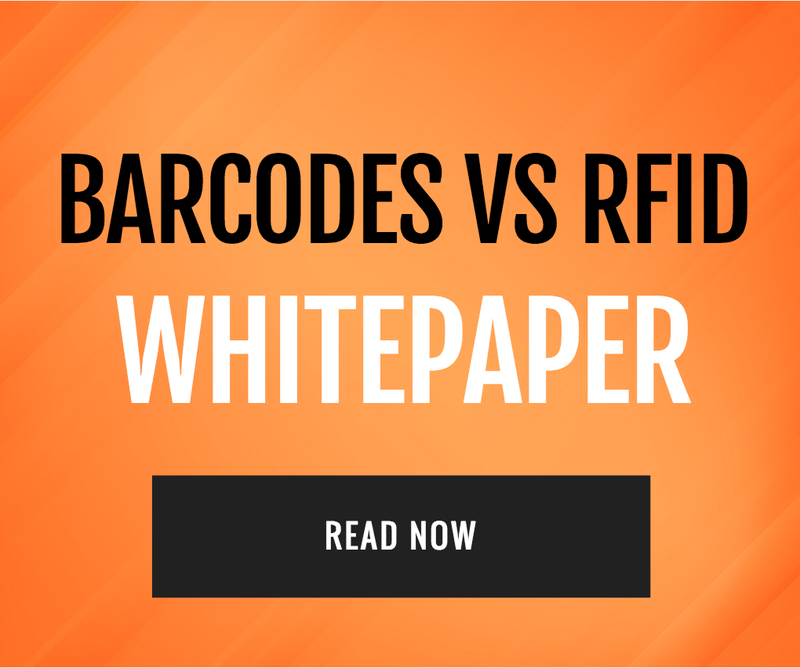 With both the wide variety of solutions not available with new tag materials, applications, software and readers along with the tribal knowledge that has built up in the community over time, there are few remaining barriers to RFID as a core solution in your auto-ID portfolio (assuming there is a logical need for it, of course). As process innovation continues to evolve, the technology will adapt, and vice versa. What about you? Do you have a challenge that still needs solving? 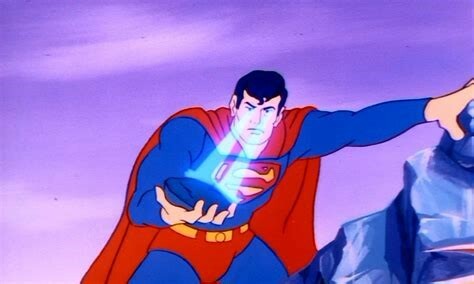 Or a solution you’d like to share and talk about? Let us know and one of our experts is always happy to be a listener.